More $37 million dollars has been put back into the NSW breeding industry through the Double-Up scheme. A winning owner can choose to take the winning cash bonus, or elect to earn twice the value with a Double-Up Voucher. 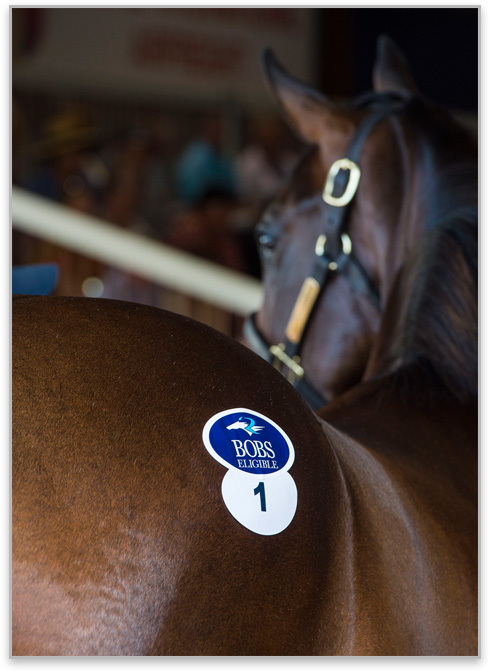 The Voucher can then be used for the purchase of a BOBS eligible horse or a share in a syndicated BOBS eligible horse (through a licensed syndicator) at a Yearling or Ready to Run sale conducted by a participating Sales Company. Managers of syndicates cannot Double-Up on behalf of the whole group – individual members must elect to take the BOBS cash or the Double-Up voucher. BOBS Double Up vouchers can also be used for stallion service fee payments for participating NSW based stallions. The stud must be registered for the programme and the stallion must be BOBS nominated. An owner wishing to take the Double-Up option must register as a “BOBS Buyer” with RNSW (see forms here) within 20 working days of the horse winning. Individual owners may accumulate Double-Up vouchers, but each will expire if it is not redeemed within 24 months of the relevant race win. A financial “cap” has been placed on the total value of BOBS Double-Up Vouchers being provided in each financial year. If the cap for a financial year is reached the bonuses revert to the current cash incentives for the balance of that period. Participating Sales Companies: Magic Millions, William Inglis, New Zealand Bloodstock, Peter Milling Bloodstock or Brisbane Bloodstock.